Verywestham: West Ham Raid the Palace in Latest Craziness! With a bright new era looming under Manuel Pellegrini, Hammers fans are looking forward to parading themselves in club colours to let fans of other clubs know when we are 'loving it'! Irritatingly, the new home and away kits are underwhelming, with the home kit in particular looking like a Burnley top with a Villa emblem on the arm! 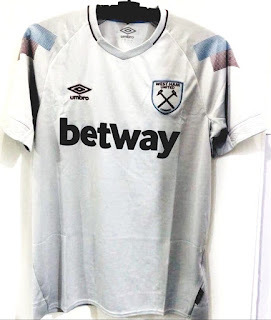 But the Hammers have really ramped up the ghastliness with our third kit. If the leaked pic on footyheadlines.com is to be believed, we seem to have 'borrowed' from Crystal Palace with a superbland design. Its time to sack our kit designers and bring in somebody who knows our history - which includes having one of the most recognisably attractive colours in World football. 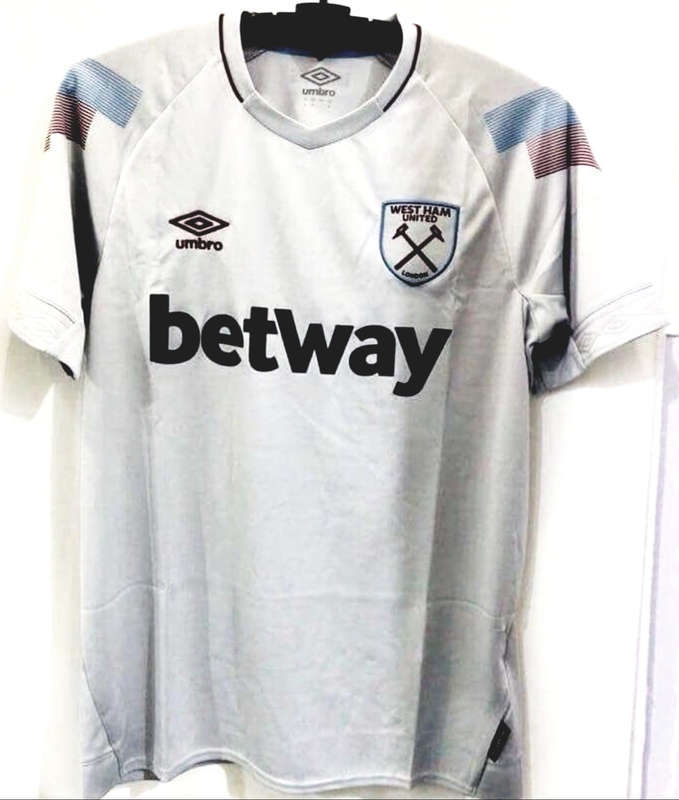 Don't particularly like any of the new kits,but this one is disgusting.Wouldn't wear it if you gave it to me.Obviously the designer doesn't like West Ham and has no idea of our history. Appalling kits.. I emailed the club asking them to canvas supporters opinion and set it to a vote through the clubs website.. naturally my email went unanswered.. but when i emailed about buying tickets for preseason friendlies I had a reply within 24hrs. I actually love all three of our new kits. You can make the case that they arent traditional but how bland would it be if we go year to year with the same exact jerseys?? I hope we do get a more bring back our Blue sleeves next year but until then I am very happy with the new kits.